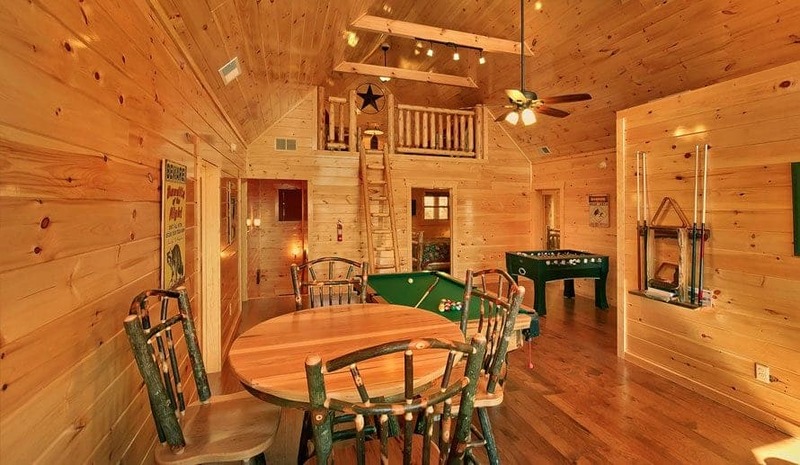 Did you know that we offer cabins with up to 18 bedrooms? This means that you can conveniently accommodate your entire wedding party in the comfort of one cabin! This is a fun and easy way to keep your group together without having to book multiple accommodations. After all, imagine the headache of trying to book separate hotel rooms for everyone in your wedding party! All of your guests will love the fantastic amenities in our large cabins and will be talking about your wedding for years to come! When it comes to the serenity of the Great Smoky Mountains, there is just something special in the air! It is no wonder that many couples decide to tie the knot among the scenic background of the Smokies. Our large cabin rentals are situated in stunning locations so that you can enjoy this beautiful environment throughout your wedding stay at Large Cabin Rentals. As a delightful bonus, your wedding pictures are sure to turn out spectacular with the best scenery in the south! For a unique wedding experience, consider a ceremony inside one of our large cabin rentals! In addition to a lovely environment, our cabins feature full kitchens and large dining areas to easily accommodate your reception.This allows you to have an intimate wedding without the bother of transporting guests between separate venues and reception areas. Wedding planning can be stressful, but Large Cabin Rentals has made it easy for you to plan your Smoky Mountain wedding ceremony! For those couples who prefer a traditional wedding setting, we are pleased to offer two beautiful chapels to our guests! Whether you are planning a small ceremony or a huge wedding event, our chapels have everything necessary to make your wedding truly memorable. As an alternative to our chapels, Large Cabin Rentals also has a rustic barn and two outdoor pavilions that we can customize into a lovely wedding venue. When booking our cabin rentals for weddings in Pigeon Forge, you have the luxury of an instant honeymoon! There is no need to deal with the time and expense of travel arrangements when you will already be in one of the top vacation destinations in the country! Take a hike through Great Smoky Mountains National Park, spend the day at Dollywood or simply kick back in the pleasant environment of your cabin. Experiencing the Smoky Mountains for the first time as a married couple will create amazing memories to last forever! We are excited about hosting your wedding at Large Cabin Rentals! Be sure to look at our information about weddings and book one of our cabin rentals for weddings in Pigeon Forge today!